Infinitism is an ancient view in epistemology about the structure of knowledge and epistemic justification, according to which there are no foundational reasons for belief. The view has never been popular, and is often associated with skepticism, but after languishing for centuries it has recently begun a resurgence. 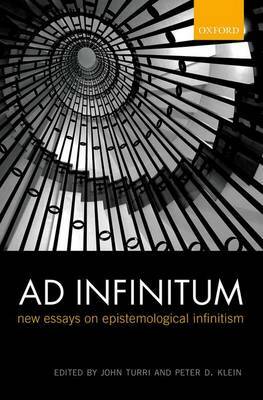 Ad Infinitum presents new work on the topic by leading epistemologists. They shed new light on infinitism's distinctive strengths and weaknesses, and address questions, new and old, about its account of justification, reasoning, epistemic responsibility, disagreement, and trust, among other important issues. The volume clarifies the relationship between infinitism and other epistemological views, such as skepticism, coherentism, foundationalism and contextualism, and it offers novel perspectives on the metaphysics, epistemology, and ethics of regresses and reasons.